For the last two weeks its been all about planning for the year ahead. Its an exciting time. 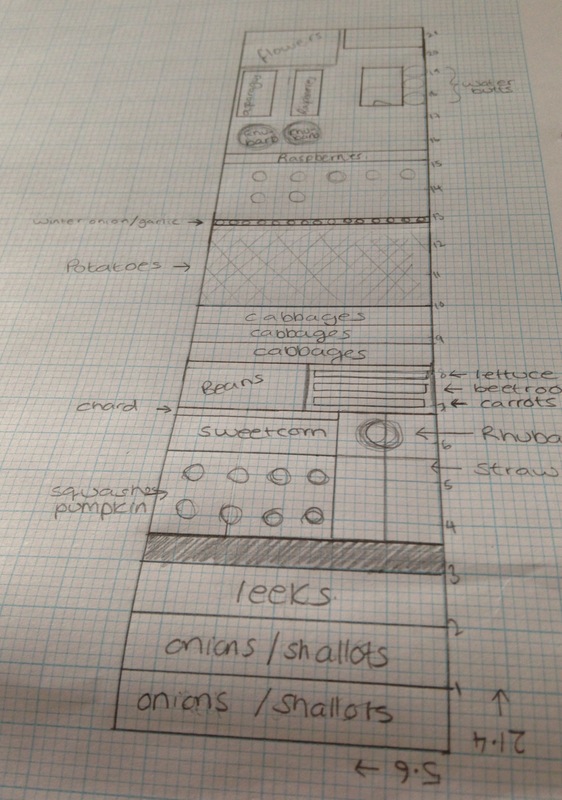 I’ve spent hours going through seed catalouges and drawing out a plan. Our little allotment suddenly feels full of possibility. Our first job, to get ahead for next year was to take control over our unruly raspberries. When we took over the plot in early summer, we were super excited to have raspberries already established, but they were also letting themselves grow over one end of the plot. As they have now stopped fruiting, we have decided to dig out some of the older canes and tie the newer canes in to a frame. They also need trimming back ready for next year. We found a huge rhubarb under the mass of raspberries, which was a pleasant surprise. We’re hoping now that it is uncovered it will have the space to grow next year and we’ll have lots of rhubarb crumble to look forward to! 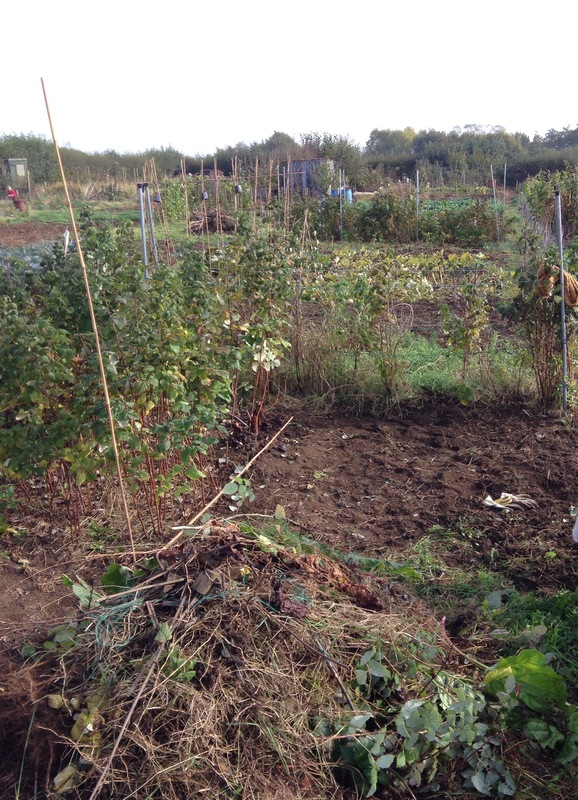 With all the weeds and extra raspberries cleared, we can now put in some asparagus, and have a bonfire!